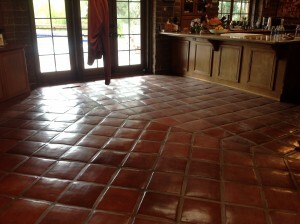 The confusion between saltillo tile cleaning and saltillo tile stripping and why cleaning and maintenance are so important for the longevity of your floors. Interior and exterior saltillos need to be cleaned the moment they are removed from the box, you will find that they have a fine powder and some minor dirt you are going to want to remove. This way the sealer will have a true bond to the tile and will fill the pores while if you DON’T clean them, the sealer wont saturate completely into the clay. This is usually where a saltillo problem begins. The initial installation. 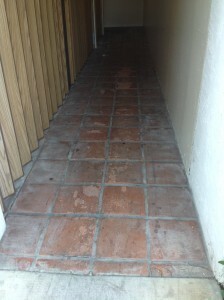 I’ve seen grout stuck on the tile beneath the sealer along with footprints and dirt. 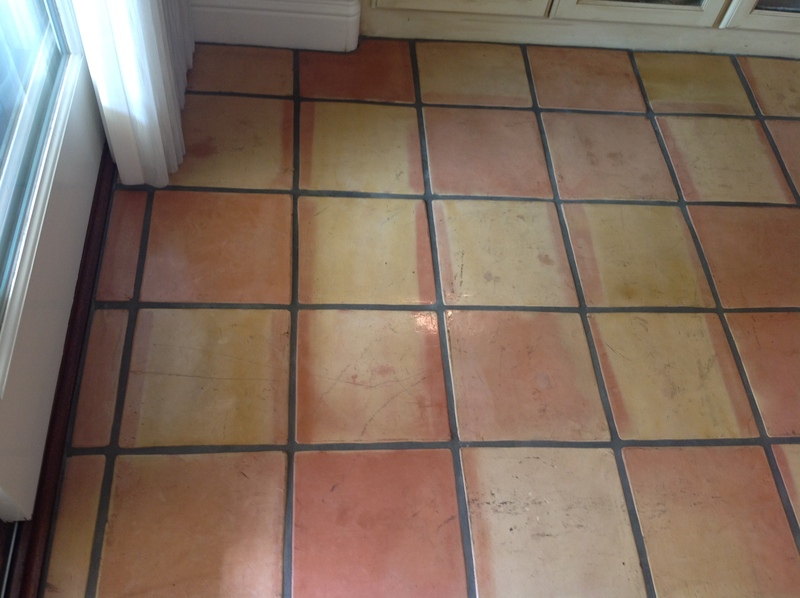 All these problems are then sealed in, giving you the impression that it will just clean off the surface, but no, at that point you will need to remove that old finish and clean the bare tile. Feel like your saltillos are out of control? 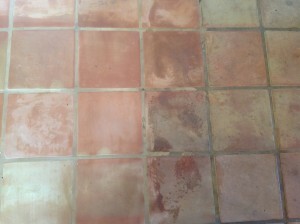 After the saltillos are cleaned and dried out completely you need to choose a sealer. 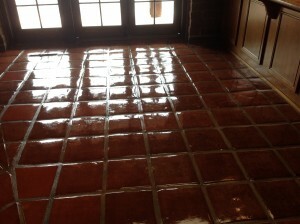 We don’t recommend putting a glossy shine topical coating sealer on the exterior because they don’t hold up to the elements such as rain, sprinklers, rain, UV rays, improper drainage, (which causes puddling and the puddling is murder on your sealer, slowly breaking it down and over time, the sealer on the saltillo tiles begin to turn white and cloudy and starts to blister and peel. 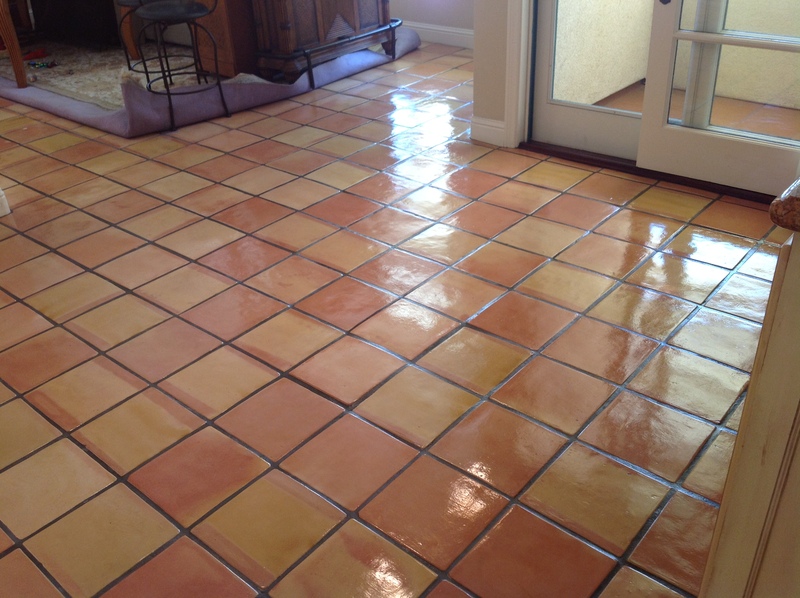 We then apply 2 coats of color enhancer, and 1 coat of penetrating sealer (the reason we still apply penetrating sealer is for the added protection that we feel like the enhancer doesn’t offer being that it’s a true sealer). If your saltillos are sealed correctly from the beginning and you stuck to the maintenance schedule,maintenance will be quick and painless with great results every time. Indoors, we recommend a topical coating glossy sealer. There’s a ton of them on the market but we offer either a low-lustre or a wet look, whatever our customer prefers. Low-lustre is really popular right now. 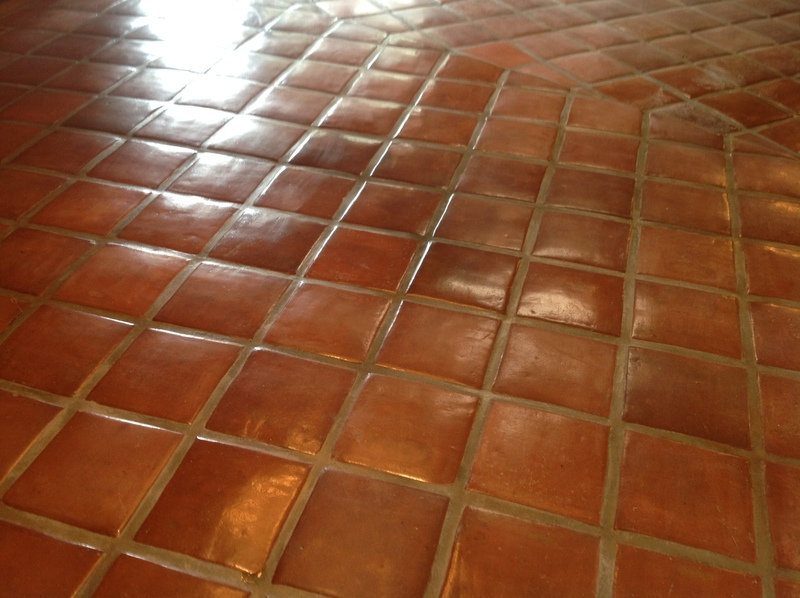 If applied correctly then either sealer will hold up to foot traffic and protect the saltillos and grout for years. One’s just shinier than the other. We are all about the protection and durability, and giving our customers a bulletproof finish that will be easy to clean and maintain over the years, especially with children, pets, and really high traffic areas like the kitchen. 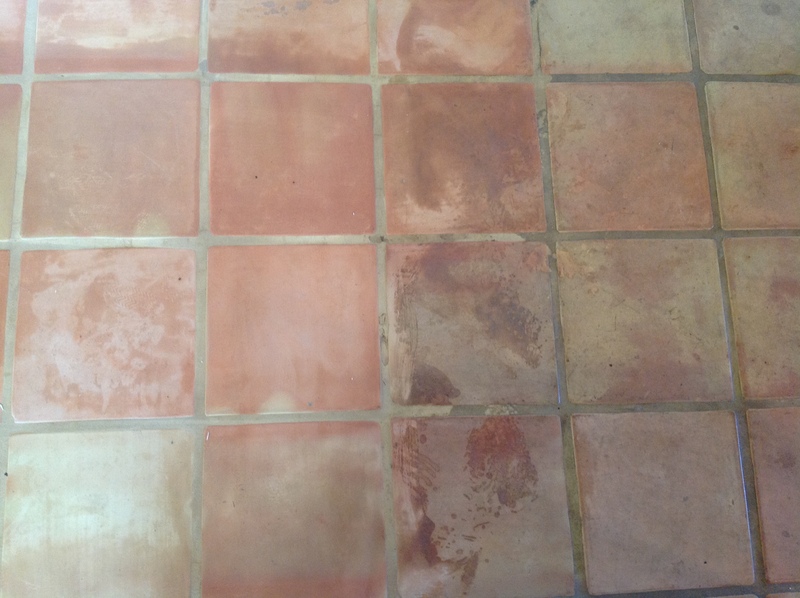 The idea behind the topical sealer is you build up the layers of protection to keep from staining and causing irreversible damage to the bare tiles. 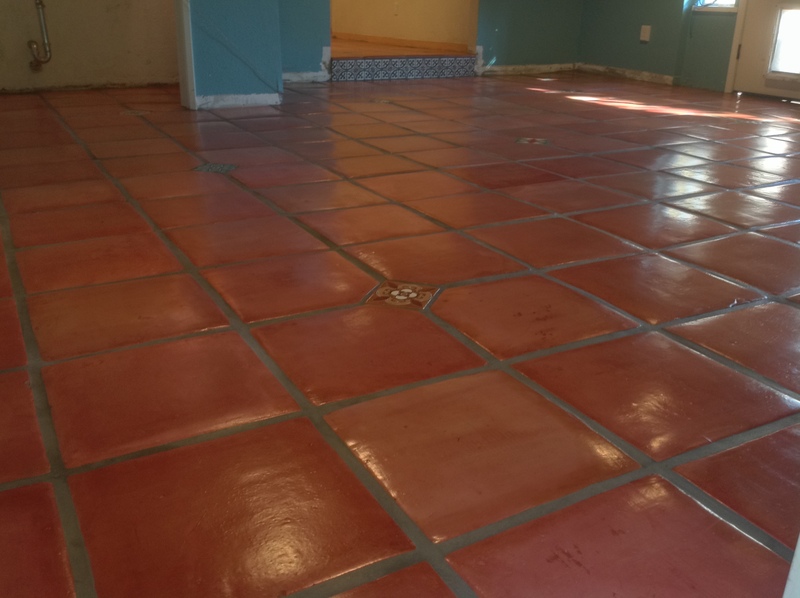 Instead, all the stains, scratches, foot traffic and embedded dirt are all in the SEALER not on the raw saltillo tile itself. This is the main benefit to keeping saltillo tile floors sealed, cleaned, and maintained. So no matter what, they can be refinished and restored back to like new condition, because the dirt and light scratches are only on the surface of the sealer. They can be brought right back to life by a good deep cleaning and applying 2 more layers of sealer. This needs to be done for maintenance every 3 to 5 years, so make sure you stick to a maintenance with your saltilllos. 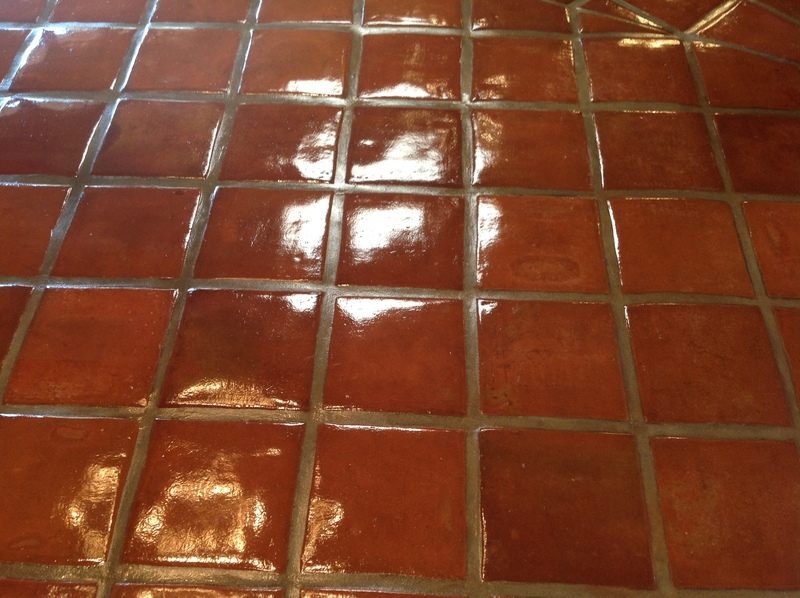 what happens is over time, the floors begin to turn grey and the grout starts to look dirty. 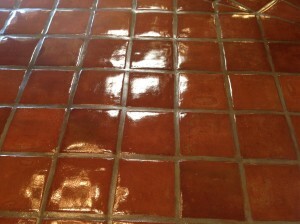 The dirt gets embedded in the sealer, and by then cleaning no longer will be good enough. They will have to be refinished again. Once they have to be stripped again things can get costly, and it is much more time consuming removing all that old sealer. Deep cleaning is much cheaper and faster. We clean and dull out all the existing sealer, add 2 coats of sealer and shAZAM! They look like new again. 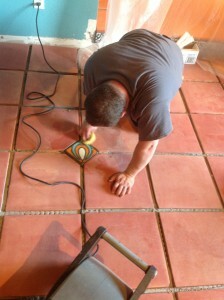 Remember stripping removes all of the sealer down to the raw tile and grout, where CLEANING on the other hand, dulls the floors and only removes the surface dirt and scratches. If you do proper maintenance, you should never have to strip your floor. 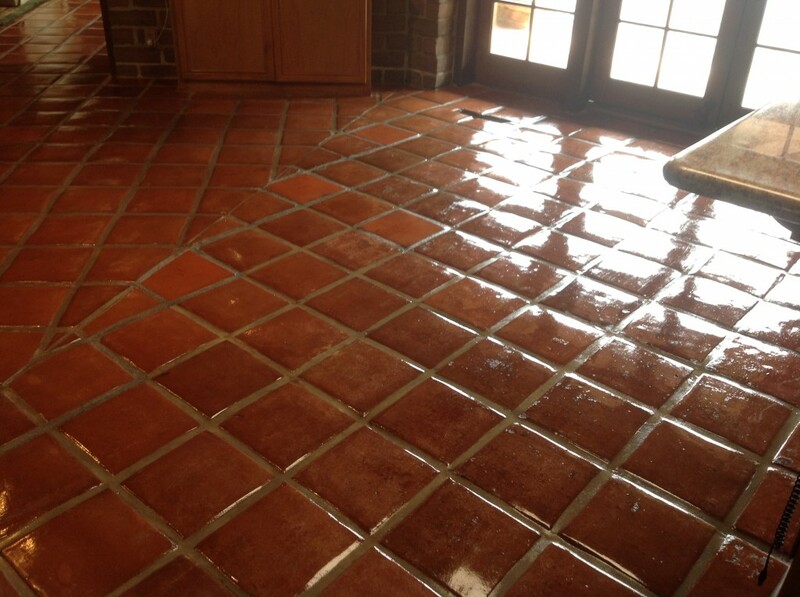 Get your saltillo tile floor cleaned today by the best!